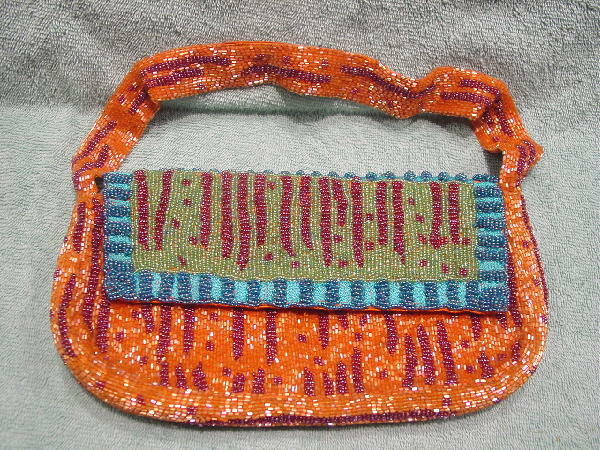 This purse is covered in different size and color beads. There is quite a bit of weight to it. The back and front are in iridescent orange and grape. The flap lid, which has a magnetic closure under it, is in blues, grape, seafoam, and burgundy. 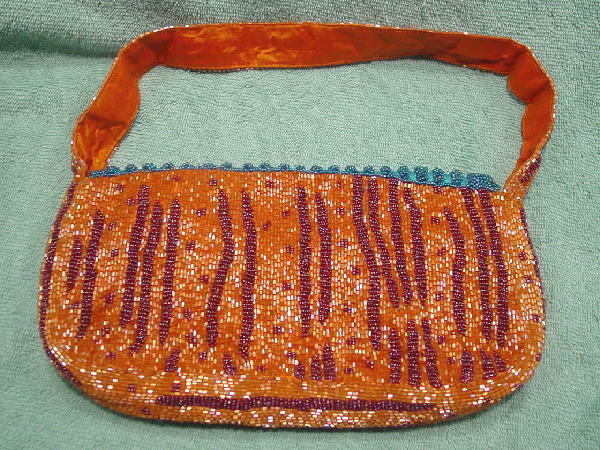 The hand strap is covered in beads in orange and grape. 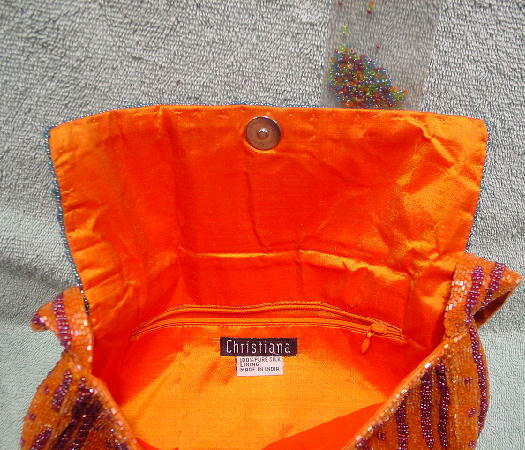 The bright orange sherbert full lining is in 100% pure silk and was made in India. The interior has a back zippered compartment. It has a small plastic packet containing some extra colored beads. There are a few orange beads missing on the back edge of the strap.